I mentioned in my previous post about the #100dayproject that is going on in Instagram. 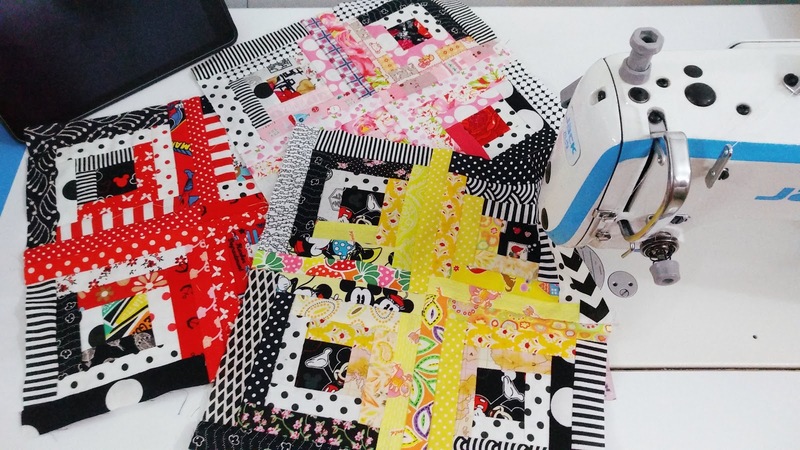 I decided to play along and sewing up my scraps, UFOs, and PHDs. It feels so rewarding when I able to complete something that has been in my UFOs box. Like these Pillows I made last week. 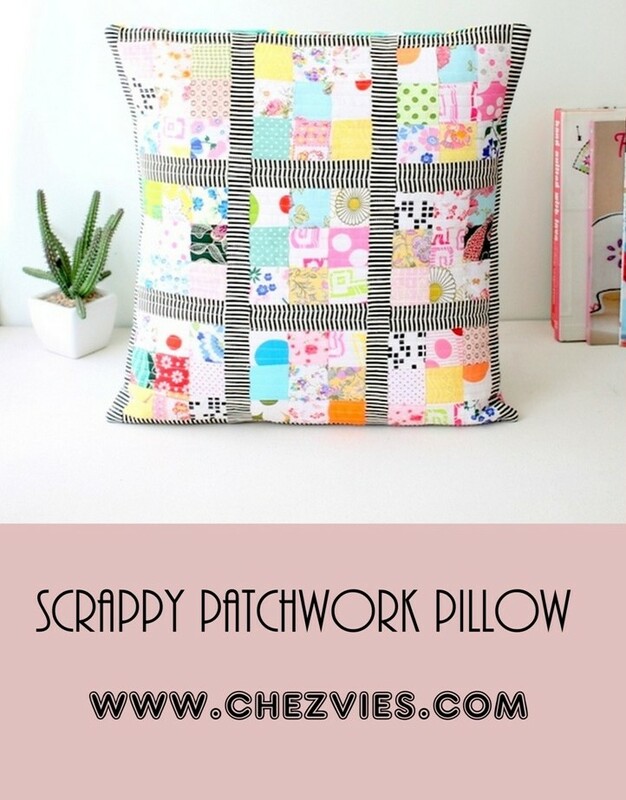 This week, quilty wise I finished this modern 16 x 16 inches scrappy 9 patch cushion cover. I have a small jar of 2" squares which I collected for quite sometimes. I made a couple of 9 patch blocks from them. Some of them, I turned it into mug rugs for a swap. And a few coasters which I gave them away. 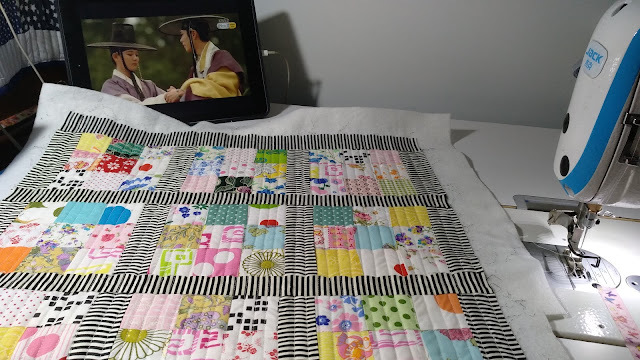 So last week, I decided to make a dent to my 2" jar and started piecing them into 9 patches, while watching my kdramas. Luckily there are so many good korean dramas to keep me company. 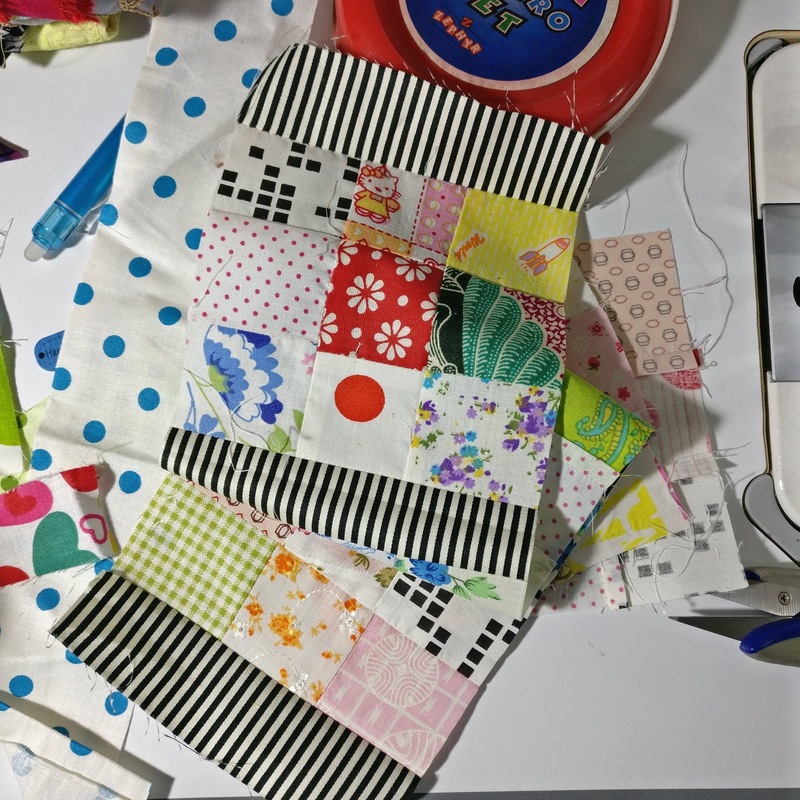 This patchwork top is totally made of scraps, right down to the black and white stripe borders, which came from my wallet binding scraps. I add sashing to the 9 patched and added long border. I really love this black and white stripe. I will need to get a few yards next time when I go to Indonesia. I used it alot for wallet. When nothing else work, black and white stripe always the solution! I am using fleece batting for this pillow which I got from Tina of the Square Inch. Quilting it using straight line quilting on my jack sewing machine while watching Love in the Moonlight drama. I know, it's an old one (2016 drama) and I don't usually enjoy period drama, but Park Bo-Gum and Kim Yoo-jung are just too cute together. The back of the cushion cover is a colorful floral cotton fabric. I'm glad I saved up the last piece of this fabric, it matched perfectly. 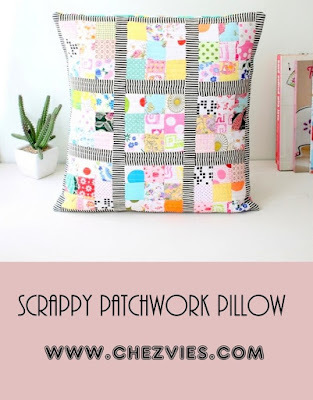 This pillow will make a cute decorative pillow in the living room or a baby room. I added this cushion in my Etsy Shop and also in my Indian WebShop. There are still many scraps I need to sew and I am so excited to sew smaller projects like this. Meanwhile, I made a small progress with the scrappy log cabin. I finished 3 color blocks so far. I hope I will be able to add one or two color blocks this weekends.